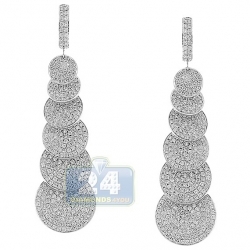 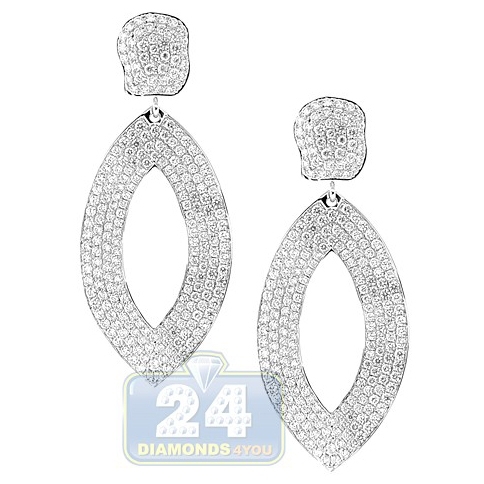 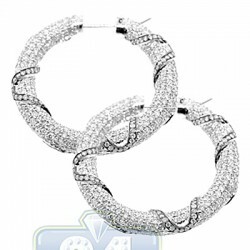 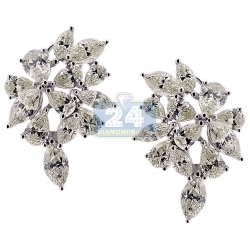 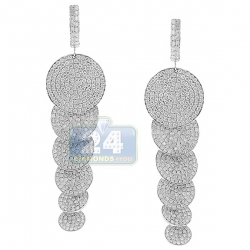 Four rows of icy white diamonds cover these beautiful earrings. 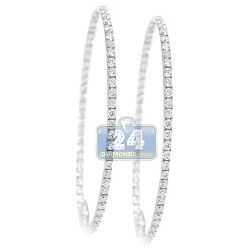 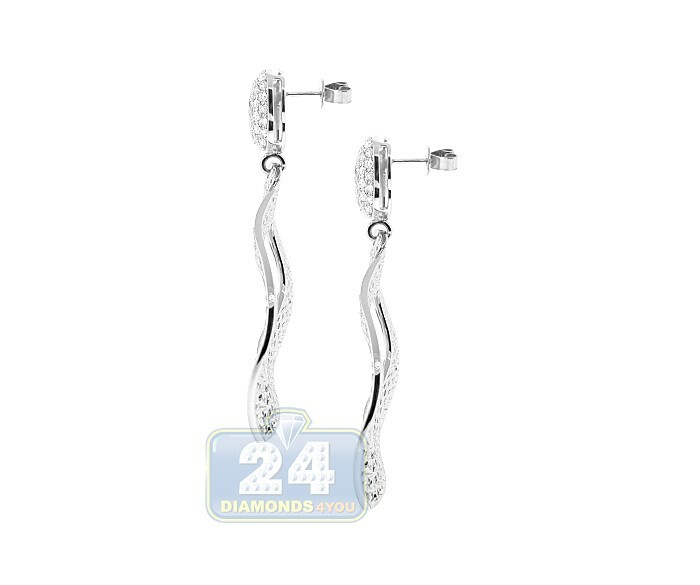 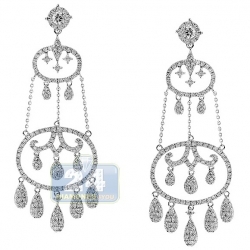 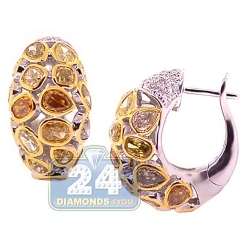 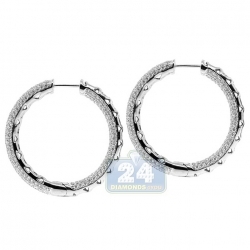 This gorgeous earrings are beautifully crafted in 14K white gold and have a unique design. 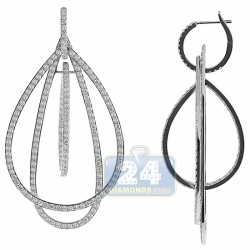 Dangling eye-catching diamond oval holds a curved drop shaped hoop paved with icy diamonds. 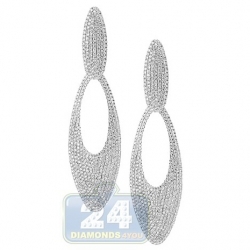 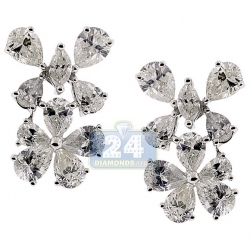 Total weight of round cut diamonds is 7.41 ct. Add elegance to your dress with this amazing jewelry piece!